Hello my name is Jane. I have a 9 yr old Husky names Bruno. He has been diagnosed with chronic Lyme disease about a year ago and has never been the same. I feel like he is depressed. 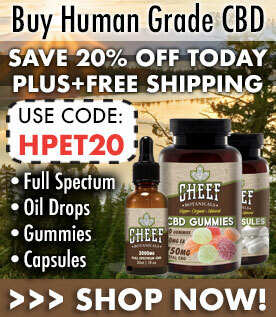 We tried anti-inflammatory herbs but we could tell that he was still having pain in his joints so we tried to find something better but didn’t want to go the drug route so we ended up trying some of these CBD oil dog treats because we’ve read so many good results. I know it is a long road with this disease but only one month later we are pleased to say that the CBD dog treats are working and my boy is doing better then ever. His mobility is back 100% and he seems happy again. Thank you Holistapet!